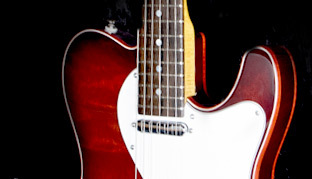 View our selection of high quality custom built guitars and basses. 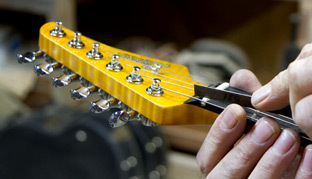 At Legend Guitars we offer a full range of guitar repairs and service. 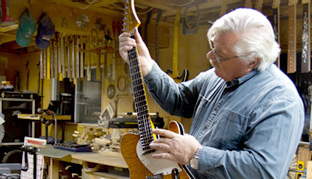 Hand-crafting custom guitars and basses in Nova Scotia since 1988. At Legend Guitars we build the highest quality, finely crafted, custom guitars and basses. Not only are our instruments built from some of the most beautiful woods on earth, they are assembled to strict tolerances with only the very best hardware, pick-ups and materials to make them stand apart from the competition. They are meticulously assembled and set-up to play like no other guitar you have ever had in your hands and that's a promise we intend to keep for every guitar we build. For us, building electric guitars and basses isn't a job, it's what we love to do. Our many satisfied customers think we do it very well. We don’t mass produce; rather, we produce to a standard of excellence and consistency that results in only the highest quality instruments being built. We wouldn't have it any other way. Feel free to check this web site regularly as we are continually updating the content and guitars available. Please don't hesitate to contact us with your comments or inquires.